Dual Raymarine Hybrid touch screen char plotters fitted at the helm. I was stunned by the excellent condition of this yacht. Don't take my word for it come and view it. The entire marine electronics installation has been renewed with lastest technoloy Raymarine Hybrid touchscreen units. This yacht would make a lovely party boat. It's massive cockpit, and very wide swim platform make it a fun platform. The interior is in near new condition. The current vendor has owned the boat for 4 years. The intention was to enjoy it as a family boat AND earn some charter income. Neither of these things have come to pass. The family is distracted with other interests and the vendor who is retired does not want to be a charter skipper. Despite this the boat is MCA coded so any purchaser just needs to pass the coding survey and she could be used as a business. The business structures for this boat are also available in a mutually agreed negotiation. 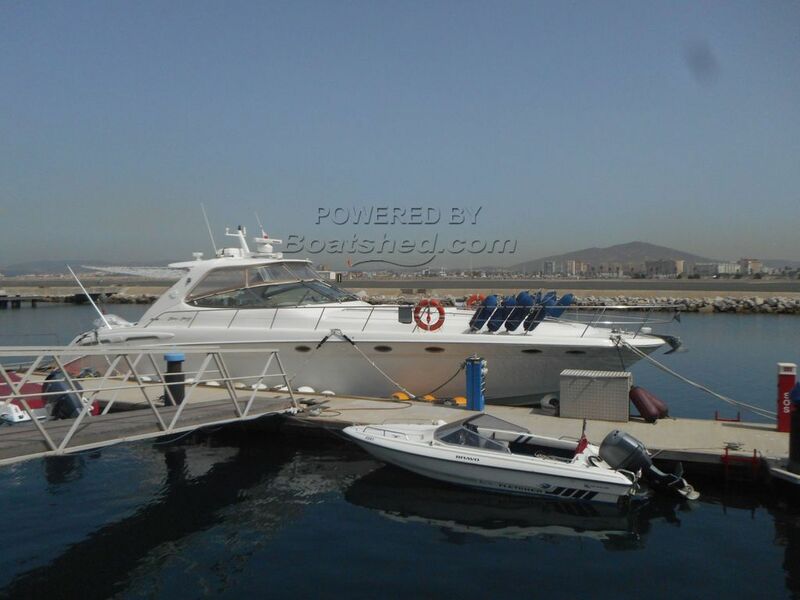 This Sea Ray Sundancer 540DA has been personally photographed and viewed by John & Lynda of Boatshed Gibraltar. Click here for contact details.